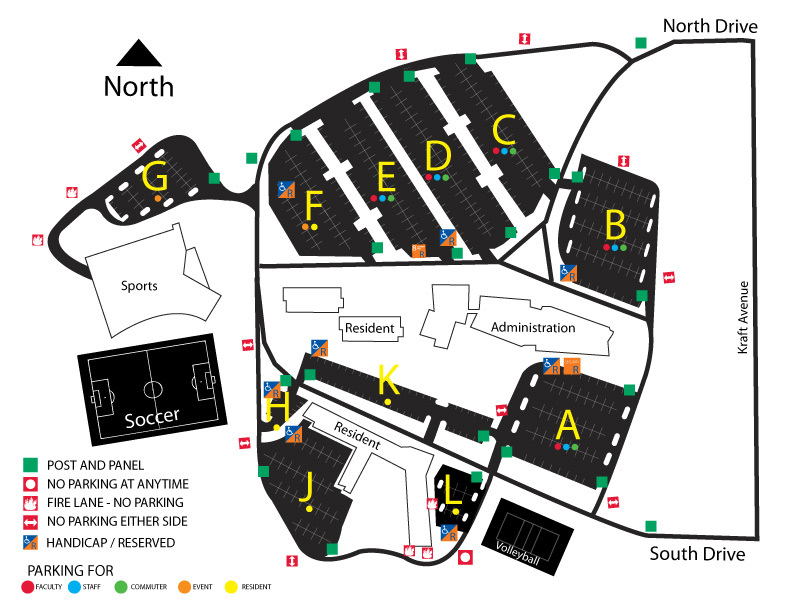 Parking for the general public is located to the North and to the East of the Student Center. Handicap parking is also available directly North of the Student Center. There is no fee for parking and our courtesy shuttle will be available. Bus parking is permitted in Parking Lot F. See http://resources.davenport.edu/images/lettinga_parking_map.jpg for map of parking lots. Individual ticket sales are at the main event entrance at the East end of the Student Center. If you are included in our Will Call list, ticket pick up is in the same location as general admission (Please bring proper identification). Ticket sales will typically start one hour prior to an event. Tickets are not presently sold in advance. For more information on tickets, click here. The Student Center seating is general admission. Handicap platform seating is available at the top of our bleachers at the track level. VIP court-side seating is available at a premium price. Restrooms are located near the event entrance as you enter the Student Center. Changing stations for families and younger children are located in our upper restrooms. An elevator is located past our welcome desk beyond the main office area. Concessions are sold at our Victory Café, located on the upper level of the facility. A 50/50 raffle may be sold at Student Center events. This is a great way to support our University along with the chance to win a cash prize. Our ATM is located by our Victory Café. Information on any lost or stolen items will be located at our Welcome Desk located by the main offices on the Southeast side of the facility. Trained staff will help with medical needs, with First Aid kits and AEDs available. Davenport University provides a 24-hour security service throughout the entire campus.